Thank you for registering a venue for the Big Latch On 2018! 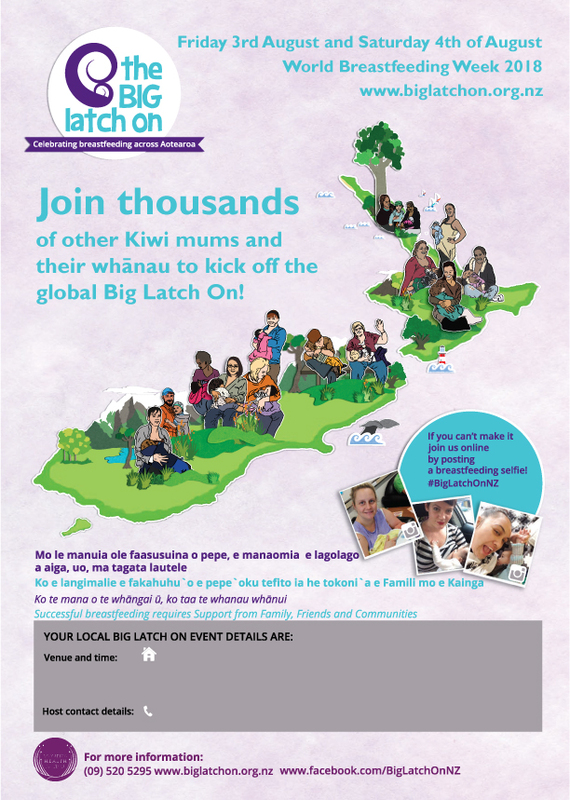 Here you will find all the resources you need for hosting your Big Latch On event available to download. If you would like hardcopies of any of these, please don’t hesitate to let us know. 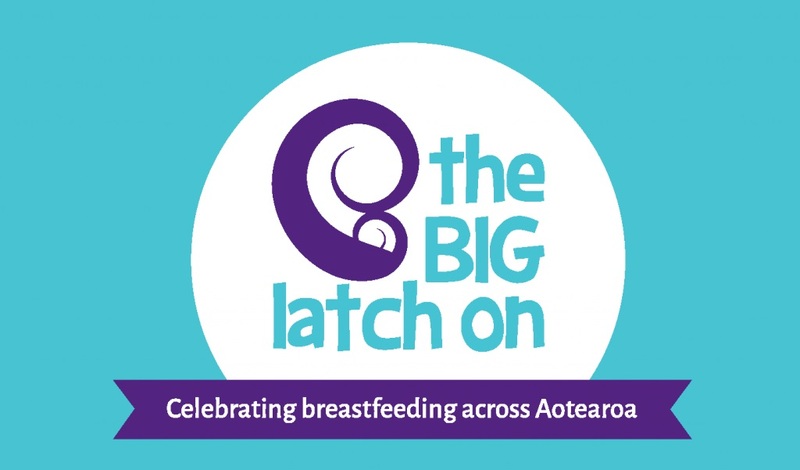 You can call us on 09 520 5295 or email breastfeeding@womens-health.org.nz. Promotional material – We will also be sending hard copy posters and postcards to all registered hosts unless you hosts request otherwise. These files are JPG and suitable for using on Facebook , Instagram , websites etc. Promotional Material – These files higher are resolution PDFs and suitable for printing. You must get EVERYONE at your event to complete the Registration Form. Please make sure you complete the host evaluation. It is really important that we get your feedback so that we can continue to improve and grow the Big Latch on every year. If you prefer, you can complete the evaluation online. *He mihi ki a Dr Tom Roa o Te Whare Wānanga o Waikato, nāna te whakamāori i te pānui – An acknowledgement to Dr Tom Roa of Waikato University for his translation into Māori of the poster.